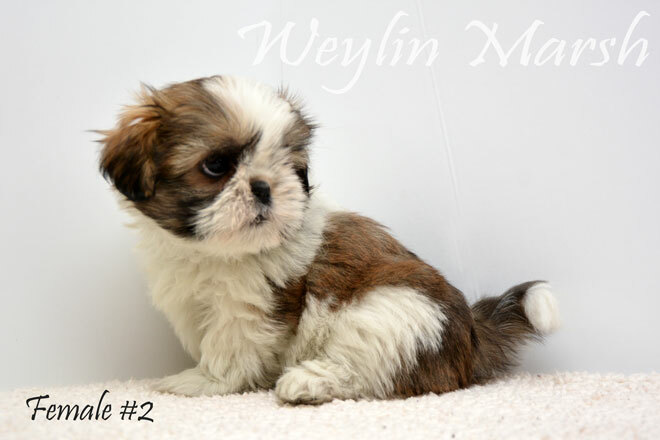 Our litter of CKC Registered Purebred Shih Tzu puppies were born on January 21, 2019 and will be 8 weeks old March 18, 2019. 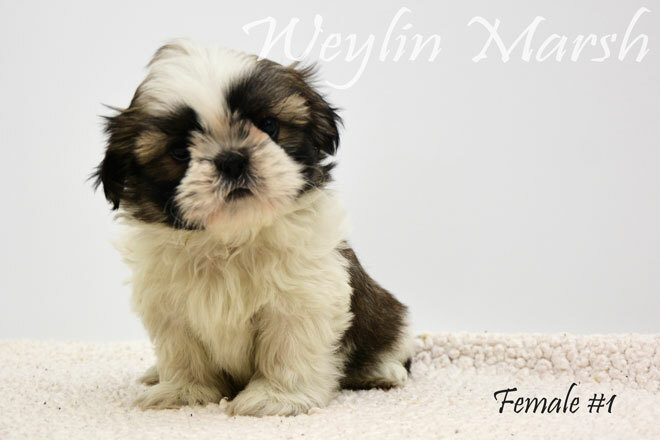 There is 1 Male and 4 Females in this litter. 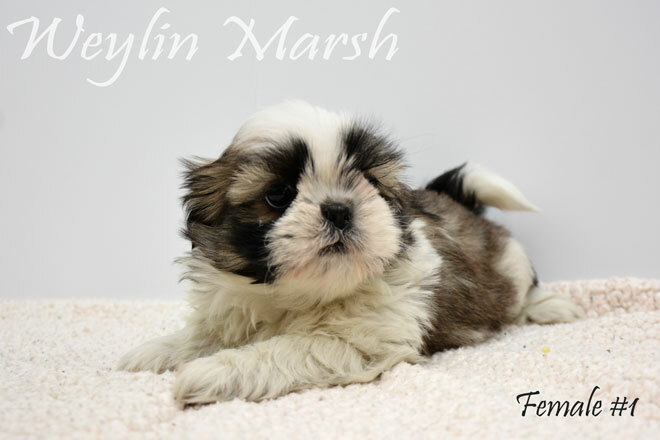 If you are interested in our Purebred Shih Tzu puppies and have any questions or if you would like to schedule an appointment, please give us a call at 905-830-2290. A puppy is not promised unless a Deposit has been given. 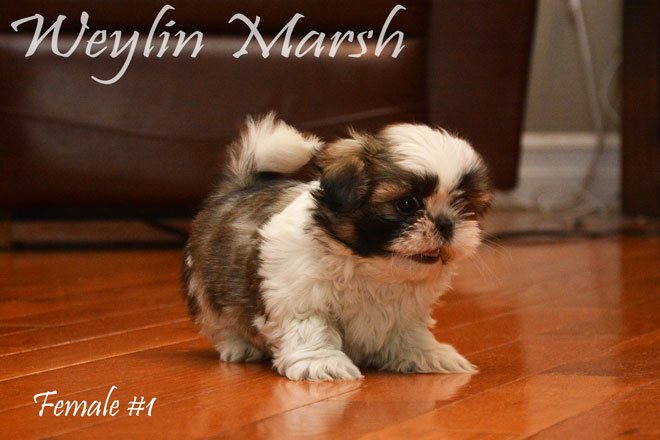 Our puppies are sold Registered with the CKC under a non-breeding agreement. 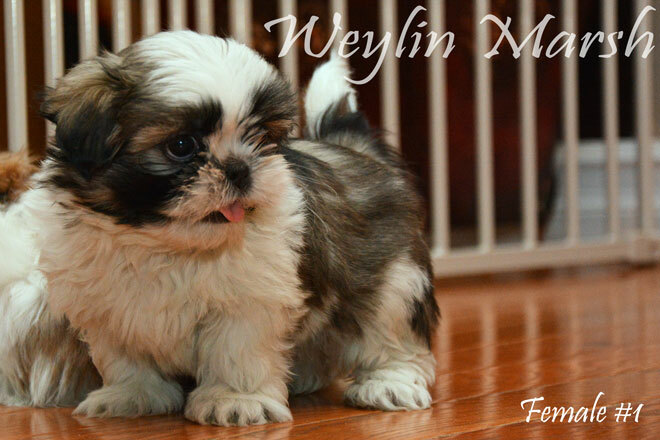 If you’d looking to Purebred puppy for show give us a call to discuss. 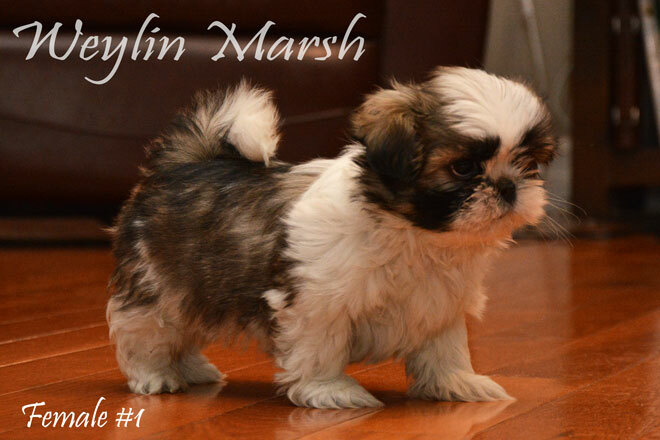 The Shih Tzu is a true companion dog and makes an ideal family pet. They are one of the original lap dogs and the quintessential house pet. 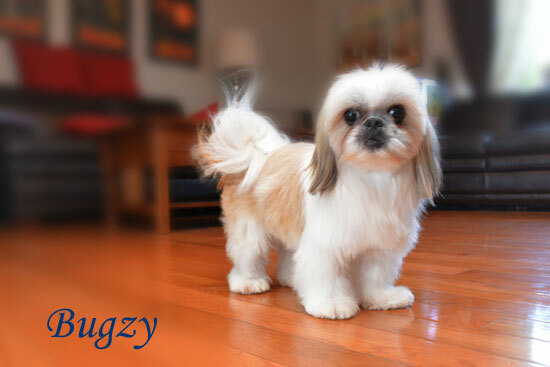 Always bred to be a lap dog, and are happy, outgoing, and affectionate. 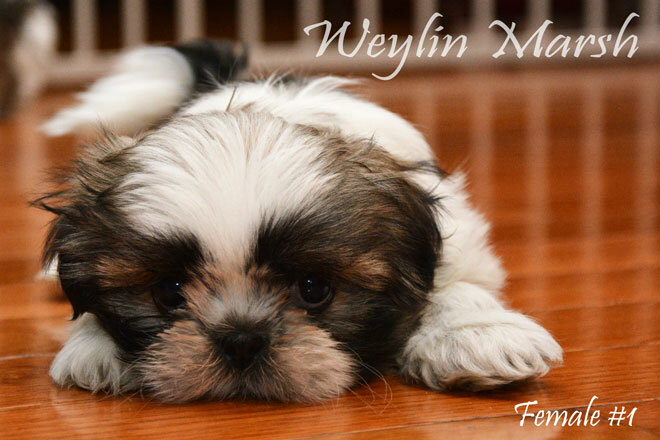 Their excellent temperament and their friendly and trusting nature make them great companions. 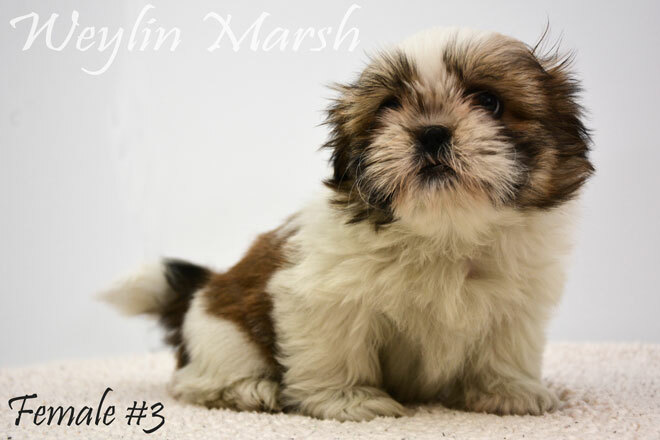 Shih Tzu’s are very lovable and make wonderful house pets and are great with children and generally will get along with anyone or anything. 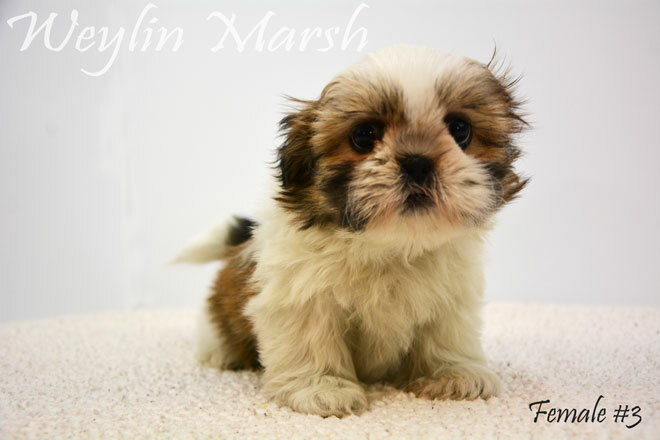 Shih Tzu’s can vary in size and their usual weights can range between 9 to 16 pounds, with some being heavier or lighter. Being a small dog, they do not require extensive exercise. Playing in the house or condo, combined with the occasional brisk walk should suffice. 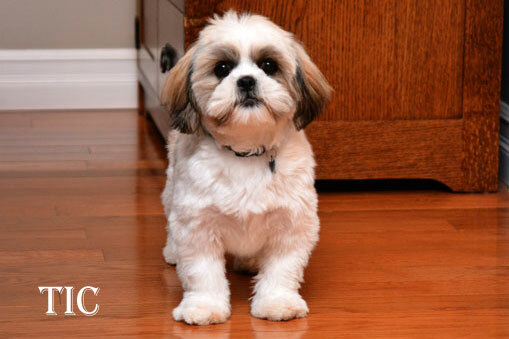 The Shih Tzu is non-shedding and considered hypo-allergenic. 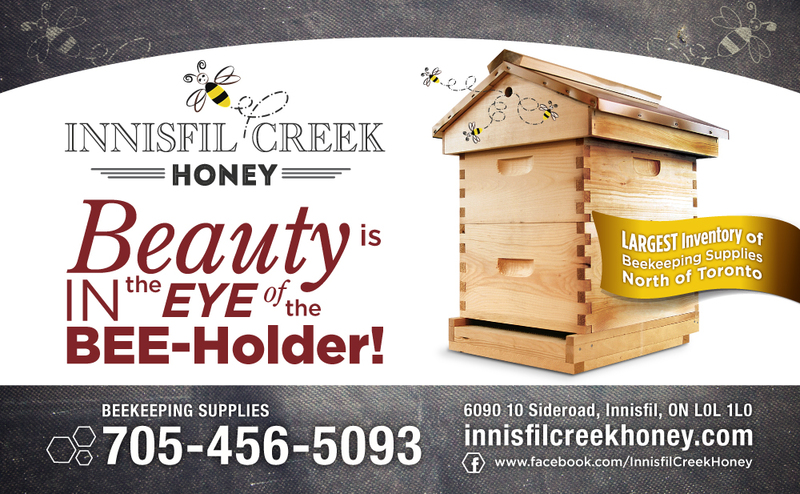 Those that have asthma or animal allergies will find them more suitable for them. 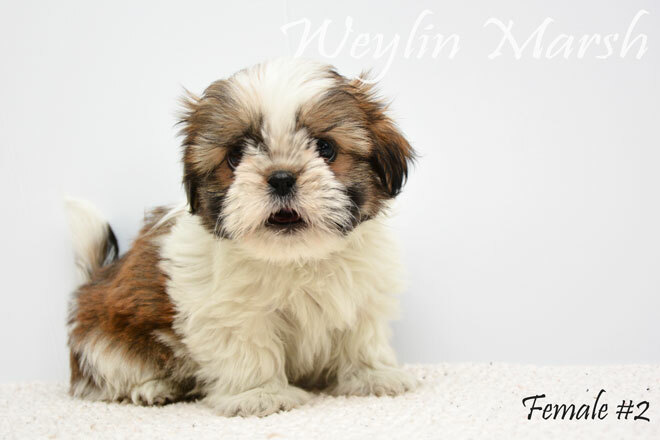 They will require regular grooming with a hair cut every 6 to 8 weeks and although bows are not required, they are absolutely acceptable, even on the boys.